Actual Size is a small space with a compelling program tucked away in Los Angeles’ Chinatown. The show Rogue Locomotives paired sculptor Benjamin Reiss with abstract paintings by Conor Thompson. 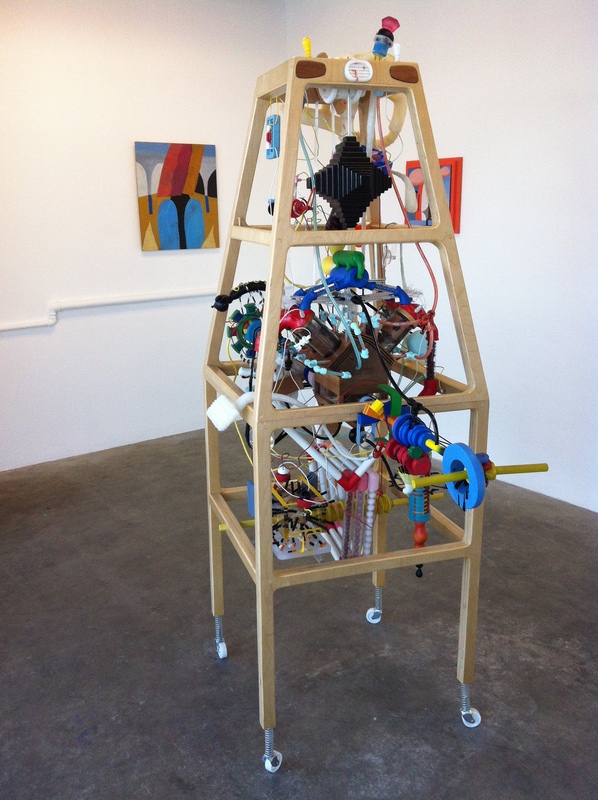 An articulate maze of cartoon like elements at once imbedded while simultaneously moving through the sculpture’s cogs. A contemporary nod to the Futurists mechanics with vibrant colours.